The letter released Monday by the Courage Foundation includes NSA whistleblower Edward Snowden and renowned scholar and activist Noam Chomsky among the original signatories. A significant number of former personnel from US intelligence agencies are backing the letter. Among them are former senior NSA officials Thomas Drake, William Binney and Kirk Wiebe. Daniel Ellsberg, the former State and Defense Department official who released top secret Pentagon Papers in 1971 and retired FBI Special Agent and former Minneapolis Division Legal Counsel Coleen Rowley also signed the letter. The plea to President Trump is in response to comments made by US Attorney General Jeff Sessions last month, in which he confirmed that the arrest of WikiLeaks founder Julian Assange was a “priority” for the US government. 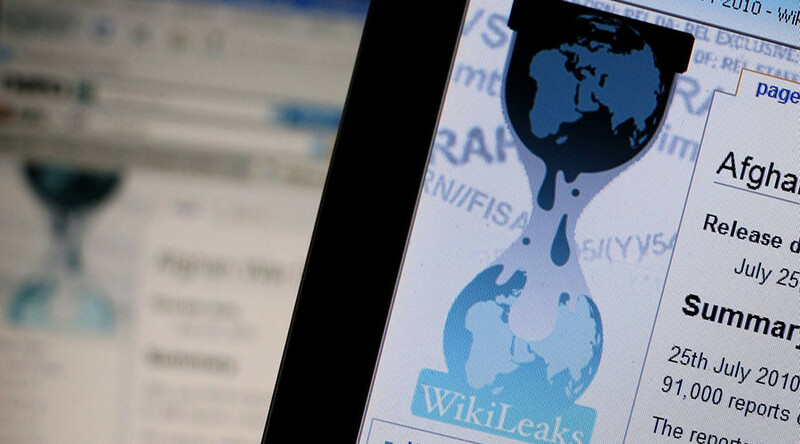 Fears are growing that charges including conspiracy, theft of government property and violating the Espionage Act are being considered against members of WikiLeaks. Several artists are also pushing the call for Trump to drop any proposed charges against the whistleblower organization. Among the big names are Oliver Stone, Ken Loach, Pamela Anderson, Patti Smith, PJ Harvey and Vivienne Westwood. The letter acknowledges that the Obama administration prosecuted more whistleblowers than all previous presidents combined and opened a Grand Jury investigation into WikiLeaks that had no precedent. “It now appears the US is preparing to take the next step — prosecuting publishers who provide the "currency" of free speech, to paraphrase Thomas Jefferson,” the document states. John Pilger, a vocal critic of mainstream media and Western foreign policy, is among several journalists on the list. US prosecutors have been investigating WikiLeaks since at least 2010, when it released more than 250,000 classified US embassy cables, leaked by former US army intelligence analyst Chelsea Manning. The letter comes ahead of Manning’s release from military prison Wednesday following Obama’s decision during his last days of office in January to commute her 35-year sentence.